Emerging from the disruption of the First World War, surrealism confronted the resulting ‘crisis of consciousness’ in a way that was arguably more profound than any other cultural movement of the time.The past few decades have seen an expansion of interest in surrealist writers, whose contribution to the history of ideas in the twentieth-century is only now being recognised. 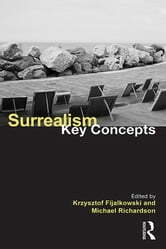 Surrealism: Key Concepts is the first book in English to present an overview of surrealism through the central ideas motivating the popular movement. An international team of contributors provide an accessible examination of the key concepts, emphasising their relevance to current debates in social and cultural theory. 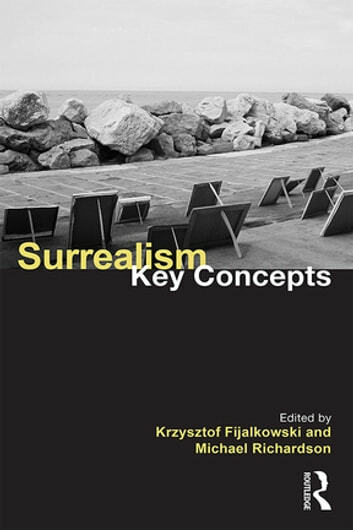 This book will be an invaluable guide for students studying a range of disciplines, including Philosophy, Anthropology, Sociology and Cultural Studies, and anyone who wishes to engage critically with surrealism for the first time. Contributors: Dawn Ades, Joyce Cheng, Jonathan P. Eburne, Krzysztof Fijalkowski, Guy Girard, Raihan Kadri, Michael Löwy, Jean-Michel Rabaté, Michael Richardson, Donna Roberts, Bertrand Schmitt, Georges Sebbag, Raymond Spiteri, and Michael Stone-Richards.